The following article by Lainey Feingold and Eve Hill originally appeared in Business Law Today. Read the full version on their website here. A good starting point for businesses in achieving digital accessibility is to implement basic smart practices in vendor contracts. This begins with a well-developed accessibility policy. From there, businesses should carefully craft their RFPs and include accessibility as a contract term. Digital accessibility is about the ability of people with disabilities to find, read, navigate, interact with, and create digital content. It is about people who use computers without being able to see a screen or hold a mouse, and it is about students who watch videos for school and pleasure who can’t hear or understand the audio. 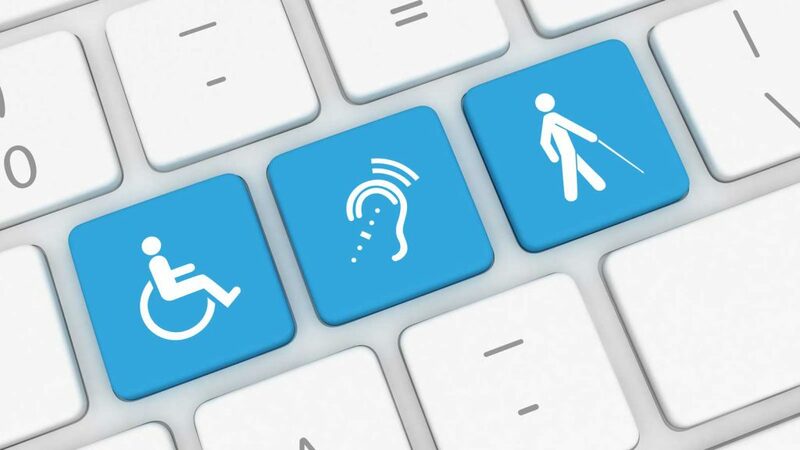 Digital accessibility is achieved by meeting well-established and internationally accepted design standards and maintaining a culture of accessibility in business policies and processes. Accessibility can be a team motivator, a source of creativity, and a business differentiator. It benefits not just people with disabilities, but aging boomers and anyone who prefers technology that is easy to navigate and use. In addition, digital accessibility is a civil right. Why? Because without it, people with disabilities are excluded from government services, employment, education, private sector offerings, and a host of other activities that happen online. The Americans with Disabilities Act (ADA) has required digital accessibility for decades. There has recently been an increase in lawsuits and administrative complaints about digital accessibility in virtually every sector of the economy. For these reasons, digital accessibility is something every business lawyer should understand. This article cannot cover everything a lawyer must know to advise businesses about accessible technology, but a good starting point is vendor contracts. Even companies with a commitment to digital inclusion can run into trouble if they purchase inaccessible content or technology. In a recent accessibility lawsuit in Florida, a plaintiff sued both the website owner and the vendor who “designed and hosted” the website. Gil v. Sabre Technologies, Inc. et al., 1:18-cv-20156 (S.D. Fla. 2018). In addition, a federal judge ruled in 2017 that a grocery chain’s inaccessible website violated the ADA. The decision, now on appeal, ordered Winn-Dixie to “require any third party vendors who participate on its website to be fully accessible to the disabled.” Gil v. Winn-Dixie Stores, Inc., 242 F. Supp. 3d 1315 (S.D. Fla. 2017). The risk of inaccessible products and ADA lawsuits can be minimized by implementing basic smart practices in vendor contracts. We welcome feedback about other practices that have helped your clients stay ahead of the legal curve and offer technology that is available to everyone. Keep reading at Business Law Today.